Since the late 1990s I have been researching the archaeology and history of folk magic. Of particular interest to me are the objects that people concealed in their homes to ward off witchcraft and other forms of perceived evil. These include objects such as witch-bottles, dried cats, written charms, ritual marks, horse skulls and all sorts of other weird and wonderful things. If you're interested in this topic at all please feel free to get in touch. 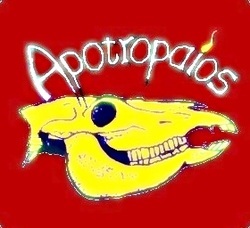 I have a website all about this topic at www.apotropaios.co.uk - it's an academic site. There's a facebook page for it here and you can get me on Twitter @folkmagicman. I've written numerous articles for magazines about the topic (google is your friend here) and there's been plenty of newspaper and radio interviews and coverage. I've also been involved in a few documentaries about the history of magic. I'm currently writing a book all about it.